Flip a coin.If heads the Defending Pokemon is Paralyzed. Flip a coin. 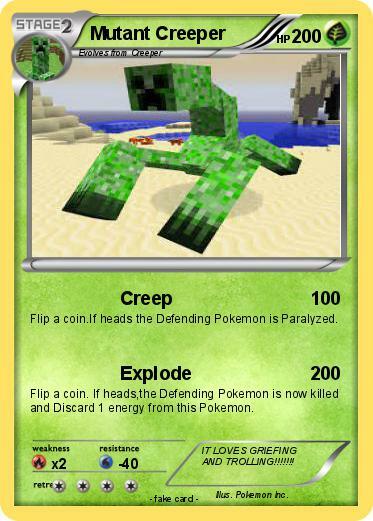 If heads,the Defending Pokemon is now killed and Discard 1 energy from this Pokemon. Comments : IT LOVES GRIEFING AND TROLLING!!!!!! !